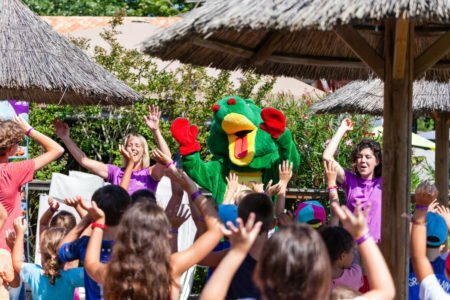 Every day in July-August our animation team offers you a selection of activities. What better way to start the day than a little muscle awakening or an aquagym class? 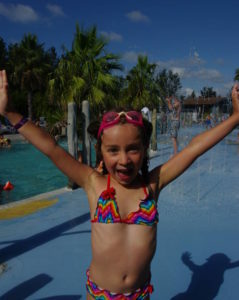 Every one likes to compete in sports tournaments before ending up in the water park or at the beach. Friendly games will animate some after noon and the staff will organise a treasure hunt in no time. Don’t miss our camping dance. You will never feel left behind, teens will have their private moments around a party grill or in a city stadium filled with foam and music. Of course! 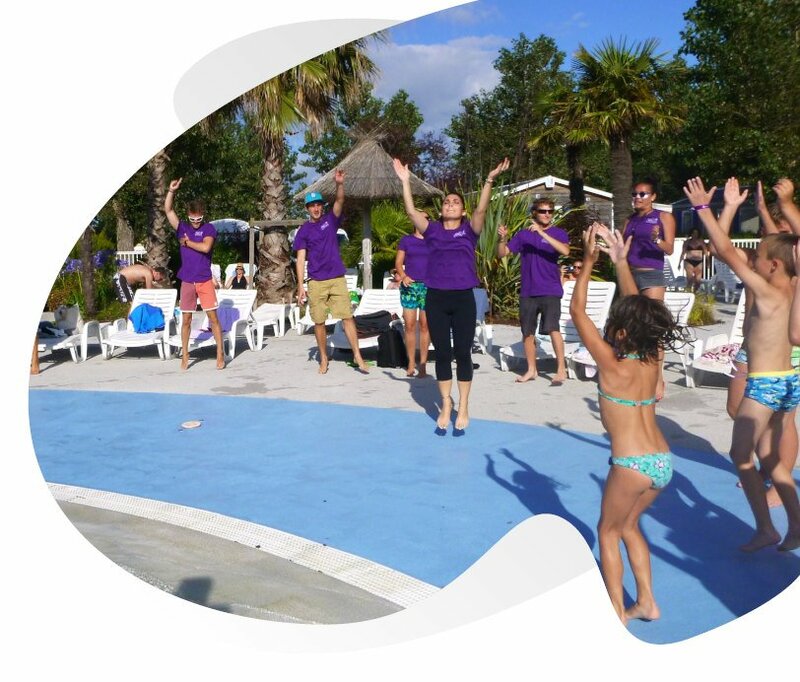 In order to boost your camping holiday, the animation team organises aquatic gym sessions in the pool in July and August. Sports games can also be organised. We played treasure hunting last summer, it was ideal for an outdoor vacation in 64! 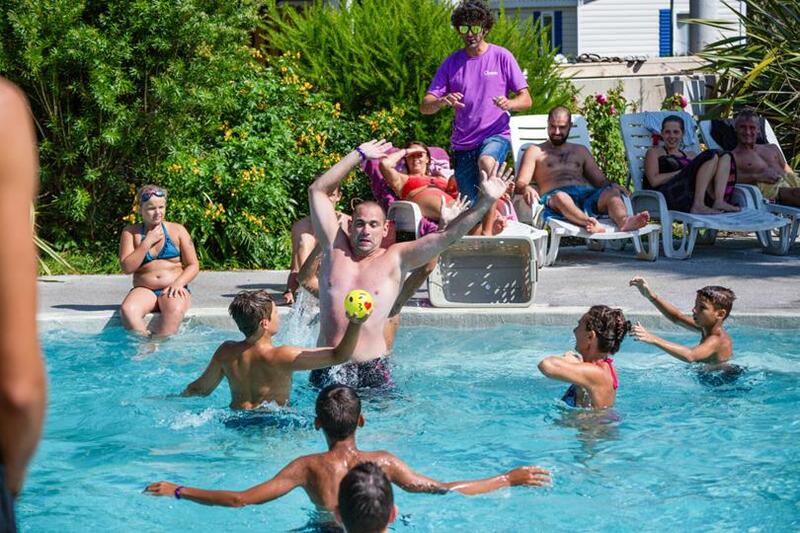 Pétanque tournaments, Olympics, shows, everything is done to spend good times with friends and family..
Teenagers are welcome! Meetings, evenings, barbecues, dictionary evenings are planned just for them, they can share these good moments on FACEBOOK or INSTAGRAM to make jealous the friends who will not have the chance to be at the Oyam campsite. Do you provide zumba courses? It is possible to participate in zumba, fitness or other classes in July and August at the campsite. So let go, it’s the holidays!.. Special for teenage a monday meeting with barbecue party in july and august. YOGA, ZUMBA FITNESS, PILATES, STRETCHING, DANCING, ASK OUR MOST ASSIDUOUS CLIENT NADINE WHO DOES NOT MISS A CLASS IN AUGUST! A specific outfit is recommended and remember to bring a towel and water. And your good mood of course! The courses are reserved for the guests of the campsite without extra charge!